President Muhammadu Buhari has written to the Senate informing the legislative chamber that he would not assent to two bills passed by the National Assembly. Is the new found love between the presidency and the Senate gone sour again so soon? 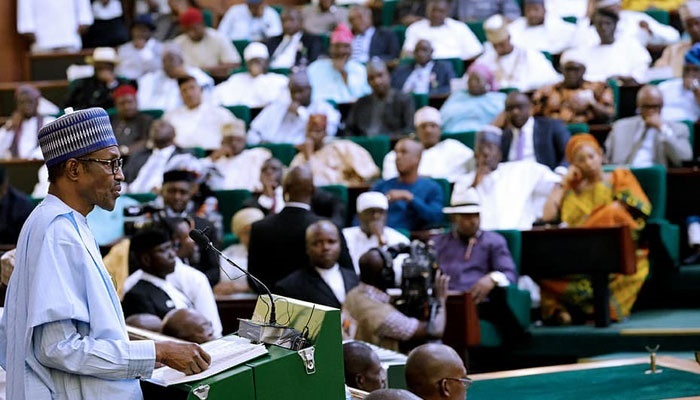 President Muhammadu Buhari on Tuesday wrote to the Senate informing the legislative chamber that he would not assent to two bills passed by the National Assembly. They are the Chartered Institute of Treasury Management (Establishment) Bill 2017 and the Federal University of Wukari (Establishment) Bill 2017. The separate letters conveying his reservations on the bills were addressed to Senate President, Bukola Saraki, and dated November 8, 2017. Buhari however based his reservations on technicalities in the drafting of the bills. On the proposed institute, the President said, “Pursuant to Section 58(4) of Constitution of the Federal Republic of Nigeria 1999 (as amended), I hereby convey to the Senate, my decision, on 25 October 2017, to withhold assent to the Chartered Institute of Treasury Management (Establishment, Etc.) Bill, 2017. The President, however, presented three executive bills in separate letters to the Senate dated October 31, 2017. While two sought to establish two organisations, one sought to amend an existing act of the parliament.